Find Power Supply, Atx Power Supply, Switching Power Supply on Industry Directory, Reliable Manufacturer/Supplier/Factory from China. 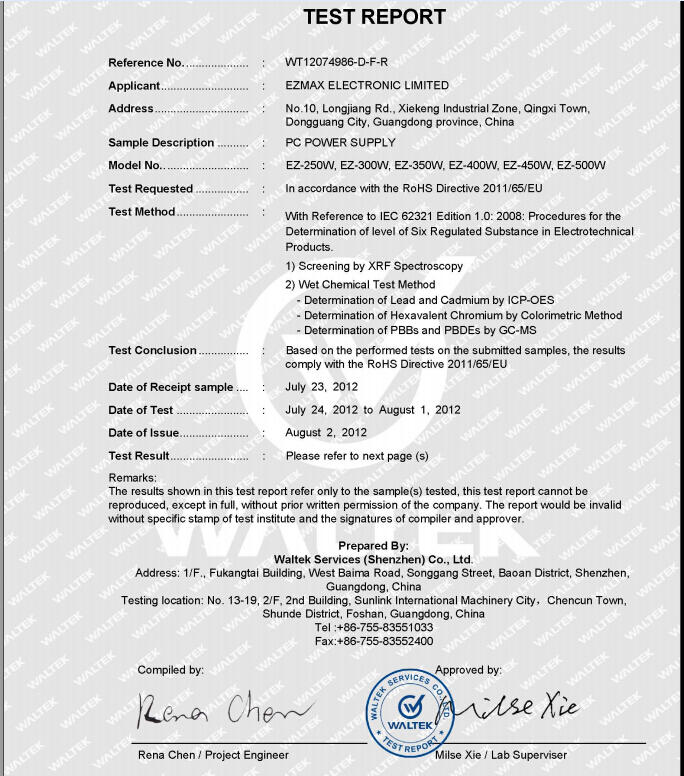 Company Information Ezmax(EZ POWER) Electronics Limited is a subsidiary company of Dongguan Yuhong Electronics Co.,Ltd. Founded in 1998. Our headquarters is located in Qingxi Town of Dongguan City China . Now we have THREE Factories,totally with over 700 workers. 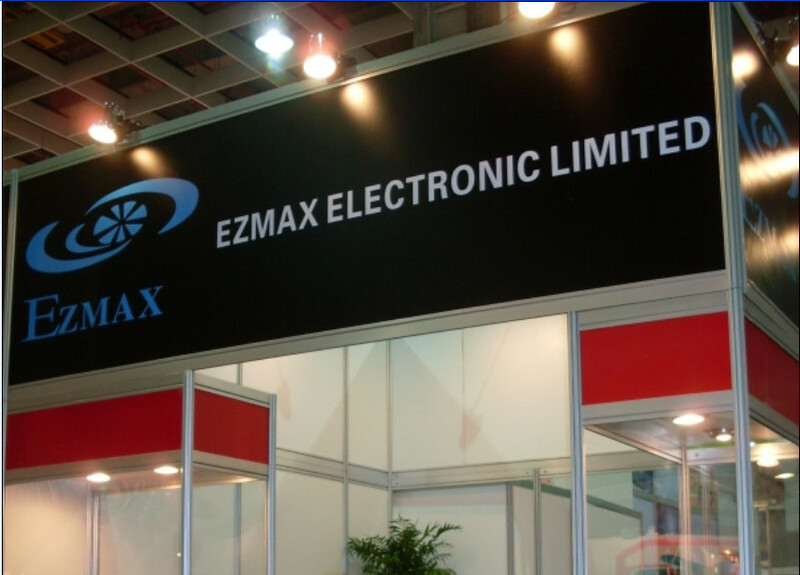 EZMAX started to deal in the manufacturing of PC Power Supply in 2000. Now we have been specialized in designing and manufacturing of PC Power Supply for 15 years, of which 90% products are exported and sold to more than 30 countries over the world. We have full range of power supply: ATX, SFX, TFX, FLEX, 80PLUS series. Besides power supply, we also produce Laptop Adapter, wall adapter & USB charger. 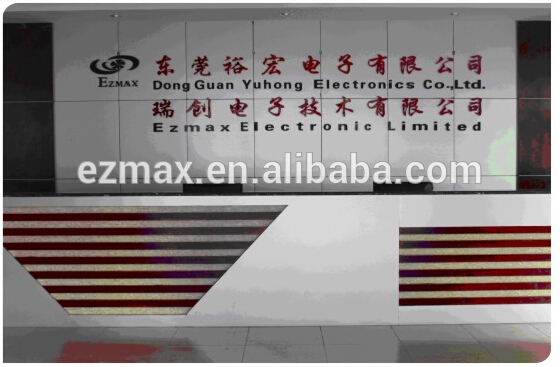 Production Line Our Services 1.Support EZMAX brand exclusive agency,OEM and ODM. Why do you choose us * Reliable and capable supplier * The leading manufacturer of PSU in China * Over 15 years of manufacturing experience. * Major compoents are directly made and controlled by ourselves which makes the price and quality extremely competitive. * Perfect and professional design * High-quality raw material * Proficient worker and skill * Strict quality testing * Strong research & development and desigh * Excellent after sales service * Double win How to contact us: Welcome your inquires and emails. All inquires and emails will be replied within 24 hours. 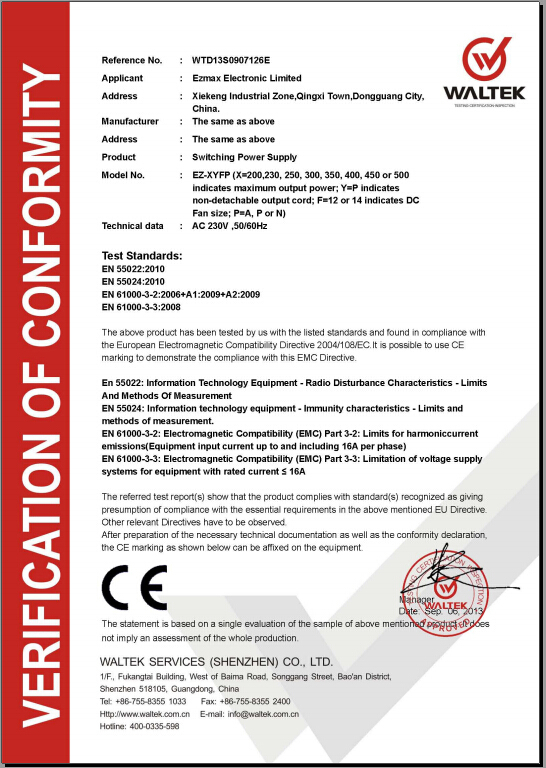 Contact us if you need more details on High Quality Pc Power Supply. We are ready to answer your questions on packaging, logistics, certification or any other aspects about Ps3 Slim Power Supply、200w ATX Power Supply. If these products fail to match your need, please contact us and we would like to provide relevant information.